The following exhibition profile was originally published on the New Zealand Portrait Gallery’s website. 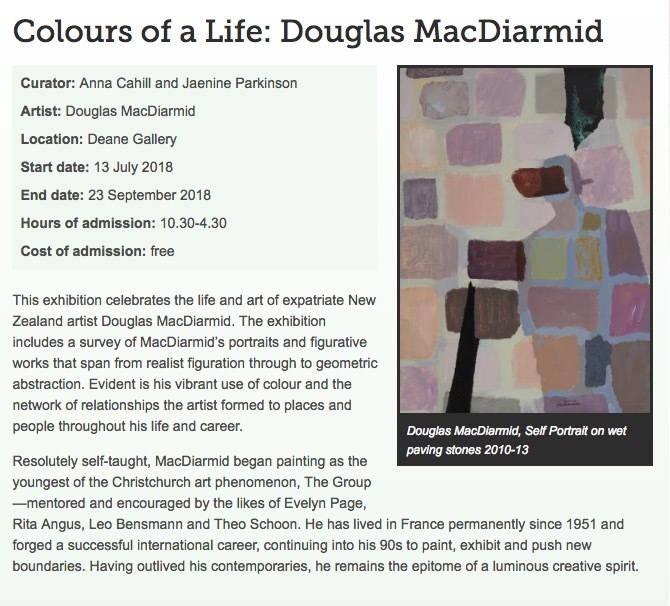 This exhibition celebrates the life and art of expatriate New Zealand artist Douglas MacDiarmid. The exhibition includes a survey of MacDiarmid’s portraits and figurative works that span from realist figuration through to geometric abstraction. Evident is his vibrant use of colour and the network of relationships the artist formed to places and people throughout his life and career. Resolutely self-taught, MacDiarmid began painting as the youngest of the Christchurch art phenomenon, The Group—mentored and encouraged by the likes of Evelyn Page, Rita Angus, Leo Bensmann and Theo Schoon. He has lived in France permanently since 1951 and forged a successful international career, continuing into his 90s to paint, exhibit and push new boundaries. Having outlived his contemporaries, he remains the epitome of a luminous creative spirit. 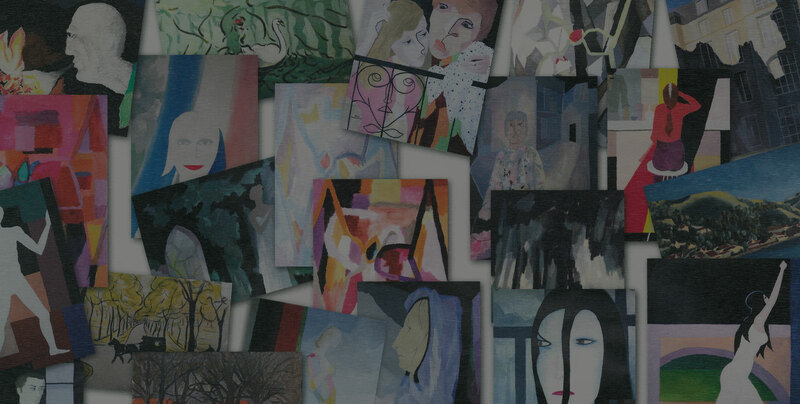 The exhibition Colours of a Life: Douglas MacDiarmid includes 16 portraits by and of the artist. Drawn from public and private collections from around Wellington and beyond, the exhibition was staged for the release of his biography of the same name. More about a selection of these works can be viewed below.